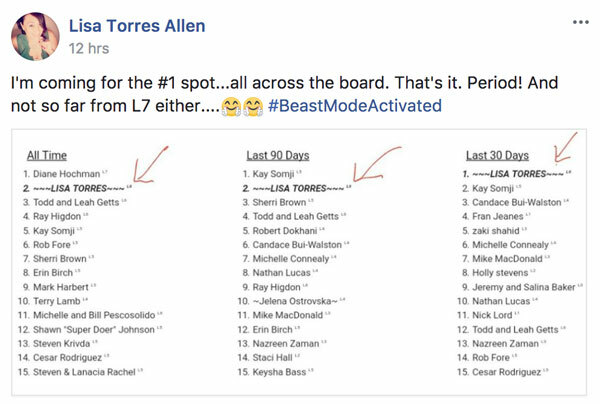 Lisa Torres was in #BeastMode this past week. 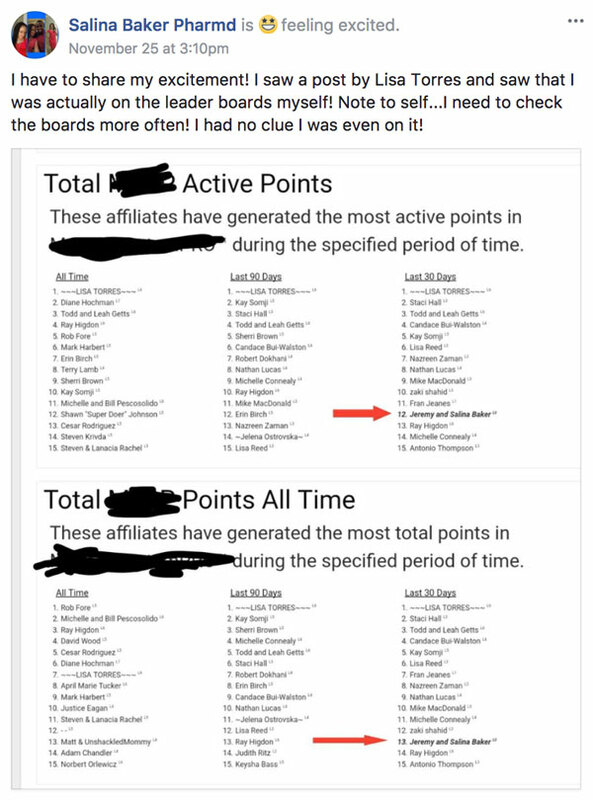 She started the week with a post saying that she was going to take over all three top spots (she was #1 in 1 category, and #2 in the others) and by the end of the week, she nailed it! This lady does not fool around. Just imagine, she struggled for 18 years, making $20 bucks that whole time. BUT she never quit!! 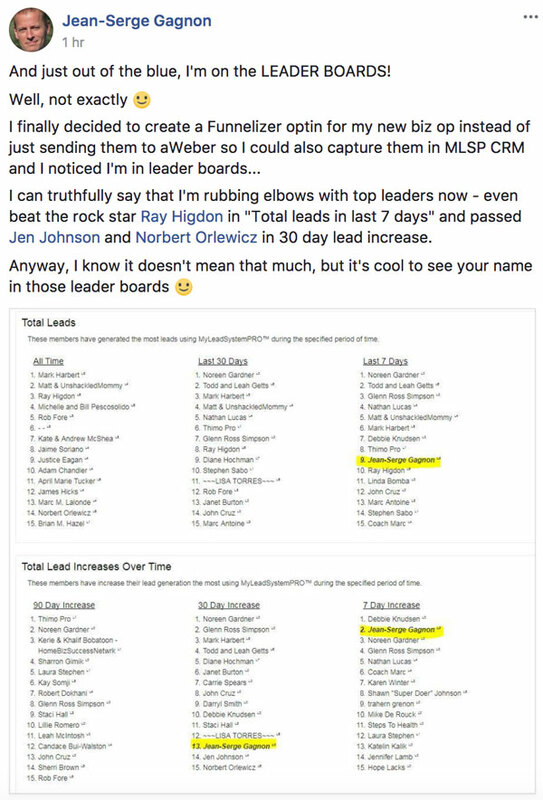 Now, she just bought her dream home, is pulling in up to 33 PAID sign ups in a weekend, and now she's in the top spot across the board at MLSP! Oh and it won't be long until she's joining the L7 club with it's current sole member Diane Hochman! Both will be featured presenters sharing their secrets during the upcoming Attraction Marketing Virtual Summit! 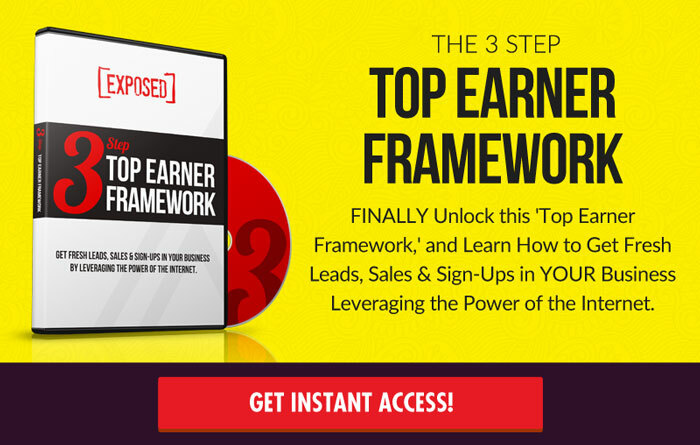 You'll probably want to see what they and 38 other top-earners and producers reveal about how to put attraction marketing in action for your business to get leads coming to you on a daily basis, and build a personal business empire. ==> You can get a FREE TICKET HERE! 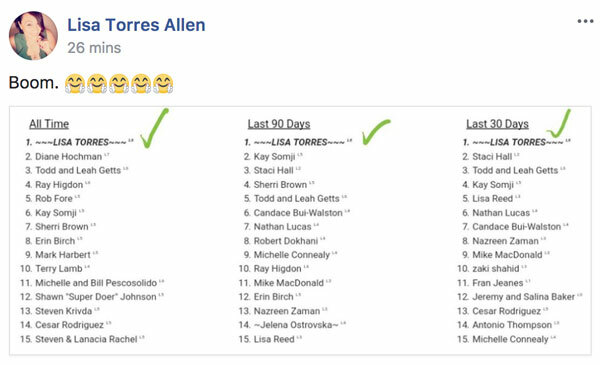 It looks like Lisa has some good company on those leader boards. Staci Hall is right there underneath her, sitting pretty at #2 on one, and #3 on another. It absolutely is, and we're so glad you stuck it out and to have you on our leaderboards. 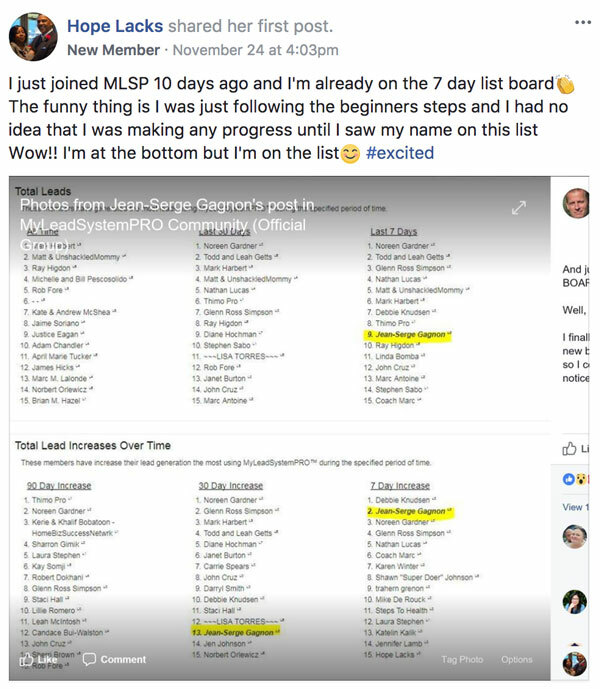 Staci is killing it, recently signing up 23 paid members in just 1 day with a Facebook Challenge. BOOM! Emee Lou Vilanueva Posadas was in tears of joy this week, and she shared why. It's a great post and you should make to read it all below. 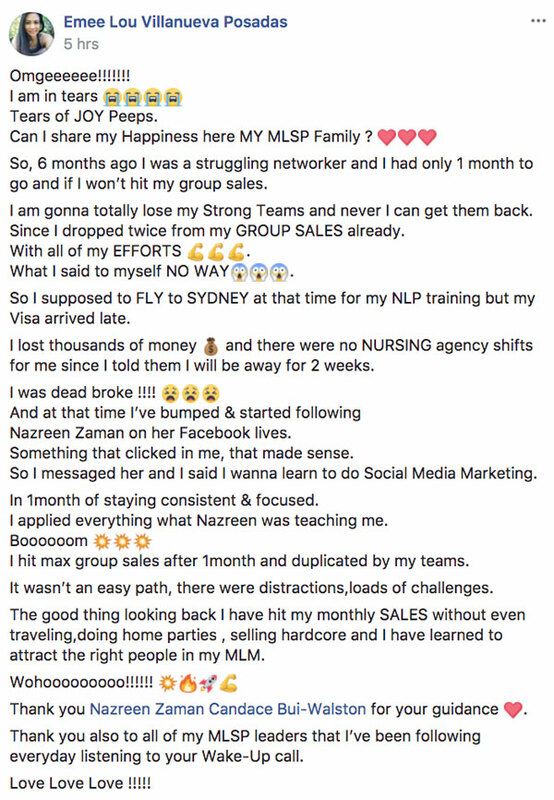 In a nutshell, she was at risk of losing a one of her downline teams because of lack of activity, lost thousands of dollars because of a delayed Visa to travel, and was dead broke! That didn't stop her. She found someone to show her how to attract prospects on social media, and went to work. She ended up hitting her monthly sales, and now has a path to move forward to build a very strong business! 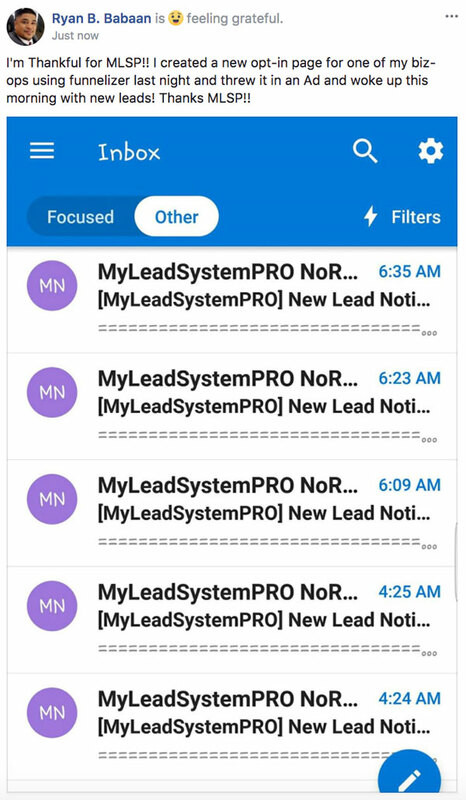 Ryan B. Babaan took some action this week, and therefore saw some brand new LEADS flowing in! BOOM! That's the way it's done sir. Emmeline Joy is in it to win it. She's taking action and doing her first challenge, and looks like things are going pretty darned well already. Which means that she'll probably be able to make extra money during the holiday season! Sameela Bibi is getting quite the attention out in the marketplace these days. People are noticing her marketing savvy. It may start with MLSP, but we couldn't do the work for Sameela. That's all her!! Mikail and Miranda Masters Van Gogh started building their audience 3 months ago, and started providing massive value to build the vital know, like, and trust. They've embraced attraction marketing and by the looks of their Facebook challenge, they're doing a pretty good job of it! That was Hope Lack's first post inside the MLSP Private community. Pretty darned good first post if you ask us! Nice work Hope! We're certain we'll be hearing plenty more from this rock star soon! Salina Baker Pharmd got quite the surprise this week. Wow! Megan Stanley-Ennis is seeing results. A lot of them in fact, from just one Facebook post. Nice! 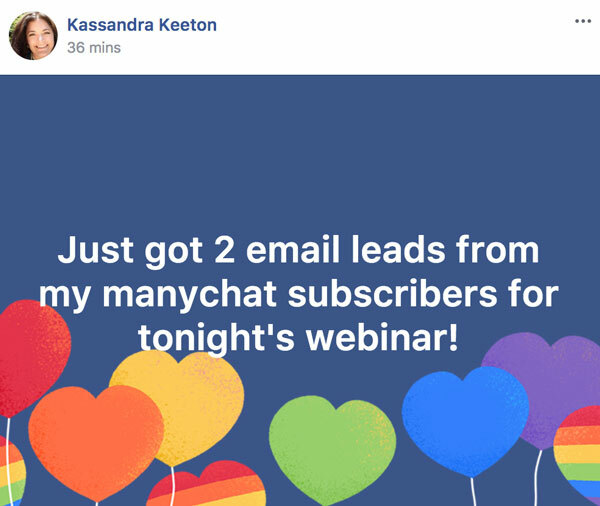 Kassandra Keeton is sharing the immense value of the MLSP Wednesday Webinar training, and getting leads because of it. 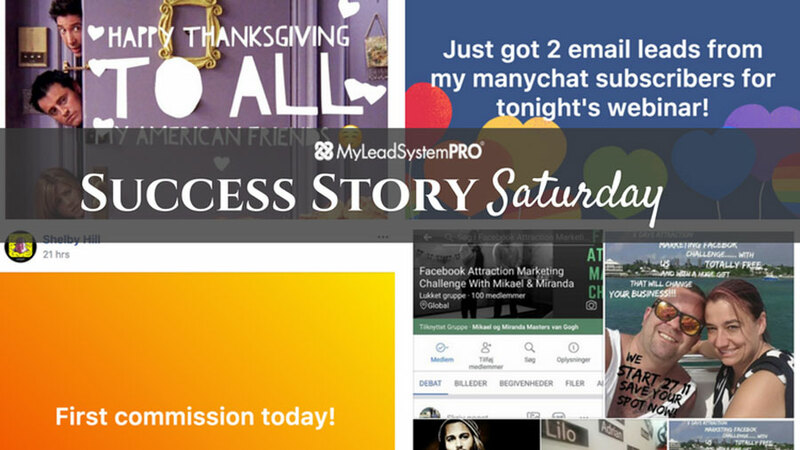 Every single week you have that same opportunity if you're an MLSP affiliate! The biggest leaders in our space come and simply give away their secrets for what's working now. The kind of stuff your prospects will love YOU for showing them. Great work Kassandra! Keep plugging away! Kathy Hudson, Chris Gnefkow Hime, and DeDe Brandes are doing their first 5 Day Challenge, and never thought they'd have this many people in their first one! Sometimes it's great to be wrong! Jean-Serge Gagnon is at it again. And now he's up on the leader boards with some of the top leaders. This dude's been on a tear for quite a while. 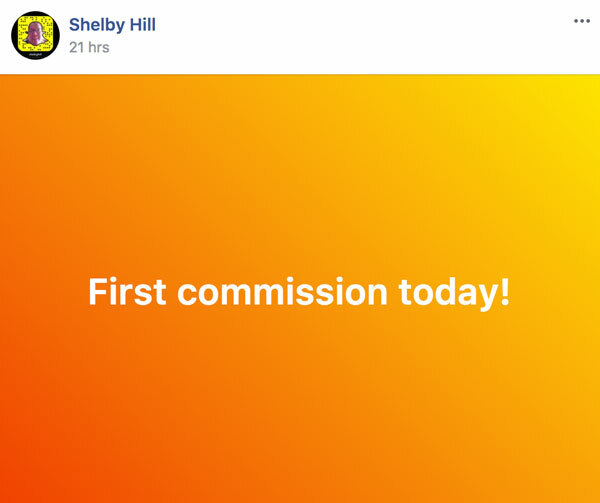 Congrats to Shelby Hill for grabbing that first commission. Whatever you're doing, keep doing that. Plenty more coming at you soon! Success Stories Come at Us Every Single in the MLSP Community! We've just given you a handful of them here so that you can see what's possible in your business, once you put the kind of attraction marketing principals in action the way these rock stars have! Make sure you check out all of the stories from this week below. And then go out there and create your own success from the clues that they leave you! !